The Rubik's Cube will always be a fascinating object for many. One team called CubeWorks in China has been beating its own record year after year by creating the world's largest mosaics made of Rubik's cubes: - 2010: The Last Supper with more than 4,000 cubes. - 2011: The Hand of God with more than 12,000 cubes. 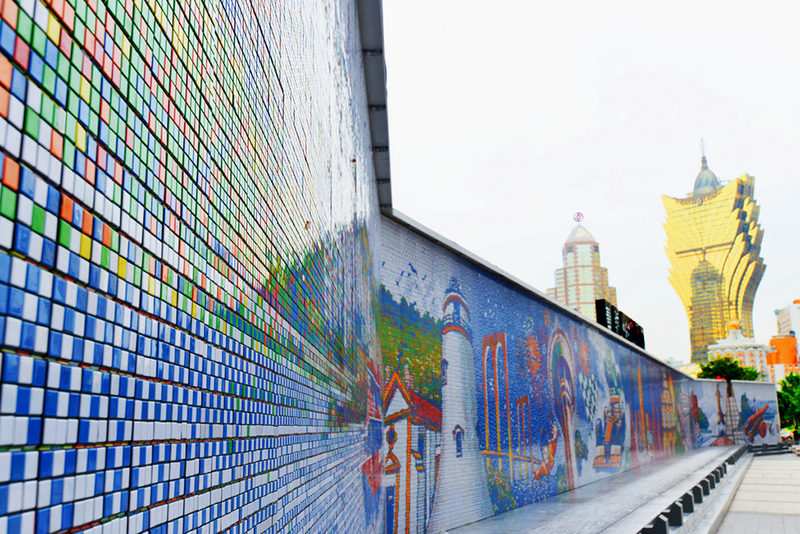 Earlier this year, they set another new record for the Largest Rubik’s Cube Mosaic Ever Created with 85,794 Rubik’s Cubes depicting the skyline of Macau, China. Can you imagine having to twist 85,000 cubes to get the right color configuration for a gigantic mosaic mural? Well that's what the team spent their time doing for a few months. The mural is 4 meters high and 61 meters wide. The team also created a time-lapse video for people to see what it took to put everything together in order to win the Guinness World Record. It’s hard enough to twist one Rubik’s cube to get the same color on every side of it… but 85,000 twisted in a predefined color combination in order to fit a design that took a team of people and several months to put together as well? We are speechless! But that’s not all: Imagine how big the 4th artwork is going to be: bigger, with more cubes to twist!